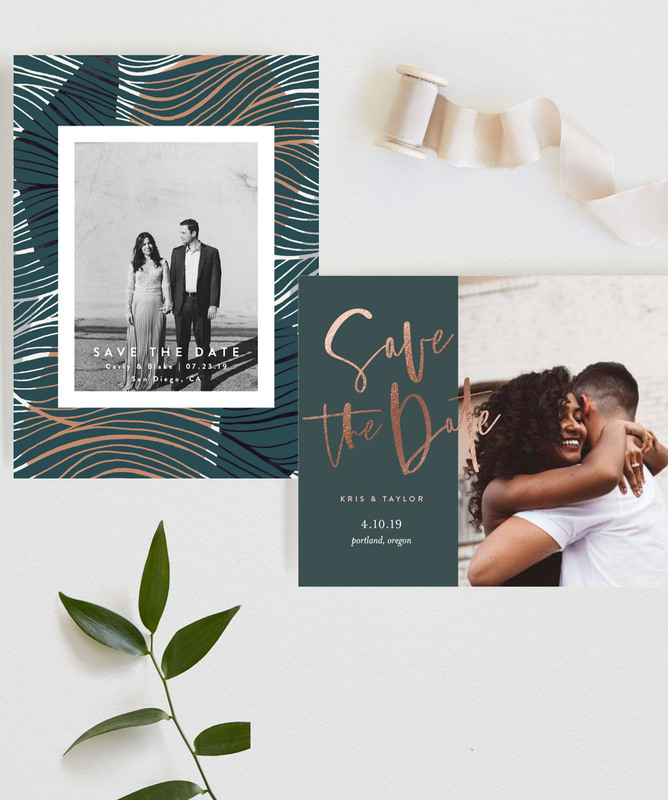 Keep it Fresh with Minted’s Latest Save the Dates for 2019! Happy February, everyone! 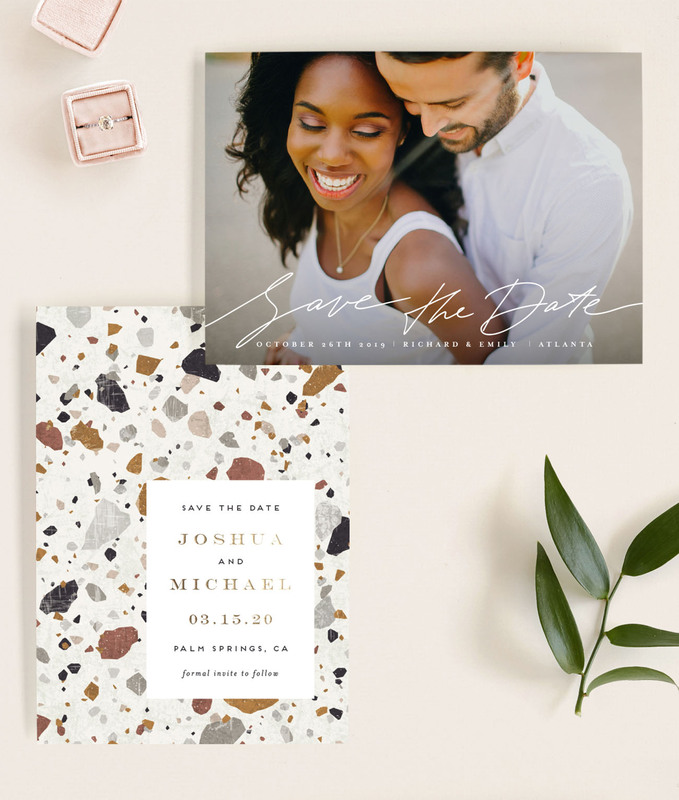 We know so many of you newly engaged couples are in the beginning stages of planning your big day…figuring out the overall feeling and color palette, the wedding party, the dress. But there’s one thing that takes precedent (right after you’ve secured the location + date), and that’s Save the Dates! Yep, even though it may be months (or a year away) you want to ensure that all your friends + family have marked their calendars and can be there to celebrate with you! Want to see what’s trending for the new year? 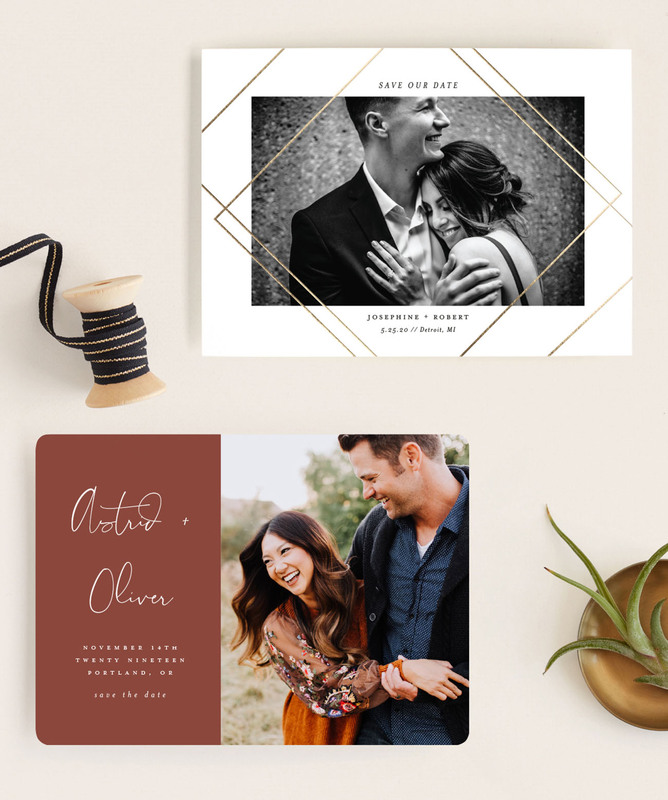 Let’s take a peek at some of our favorite designs from the community of independent artists at Minted! Sweeping calligraphy and the prettiest fonts are taking center stage on some of these designs. 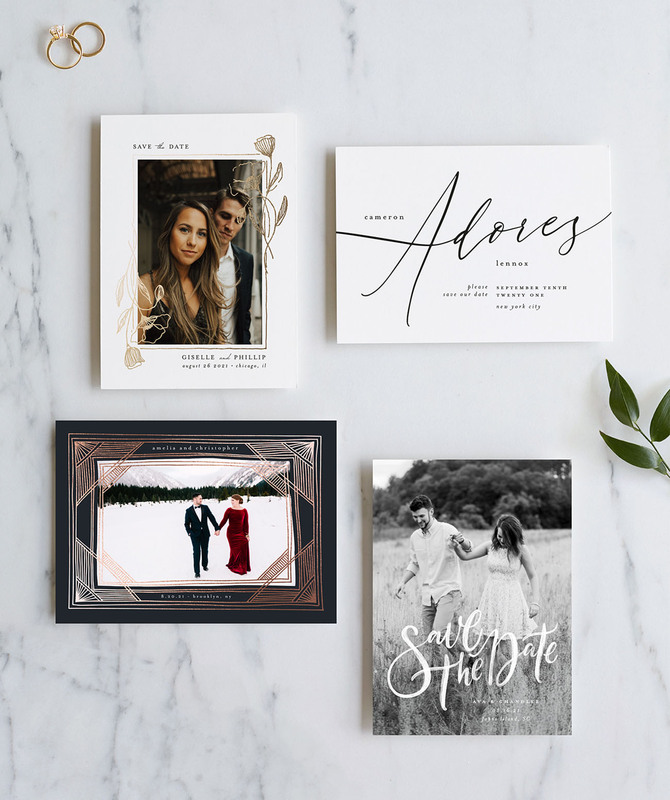 We’ve definitely fallen fast and hard for the calligraphers all over Instagram, and we’re thrilled to see gorgeous scripts like these appearing on so many Save the Date options at Minted! Are you a fan of that floral frame on the top left one? You can find it here! If rose gold is your thing, you’ll be pleased to know that there are quite a few designs with it as the signature foil! Gilded in gold! We love a good dose of shimmer and the way the real gold foil catches the light. 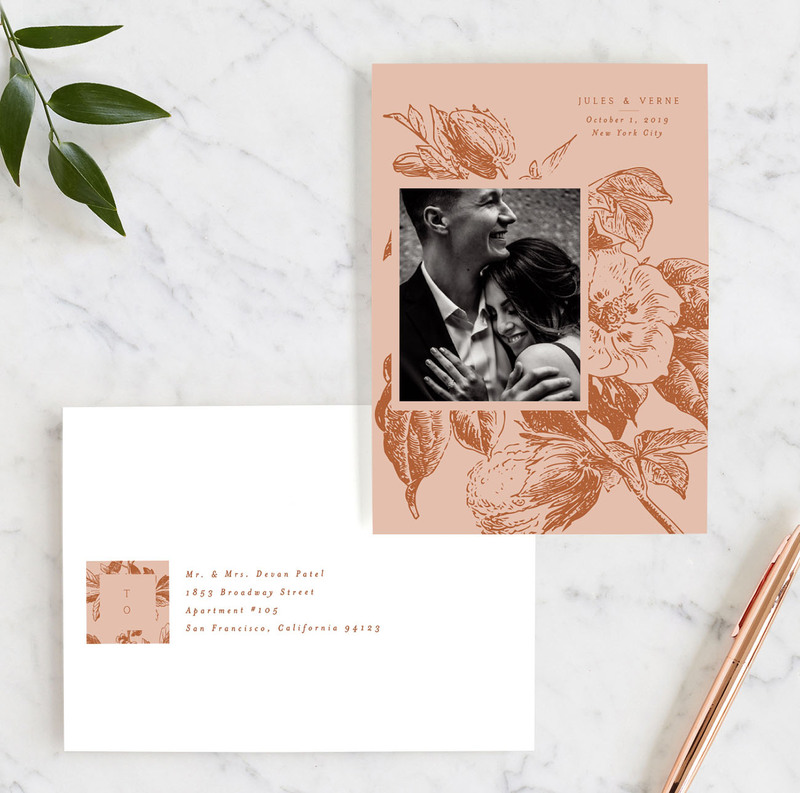 How darling is the subtle gold pop on this stylish terrazzo-inspired card? 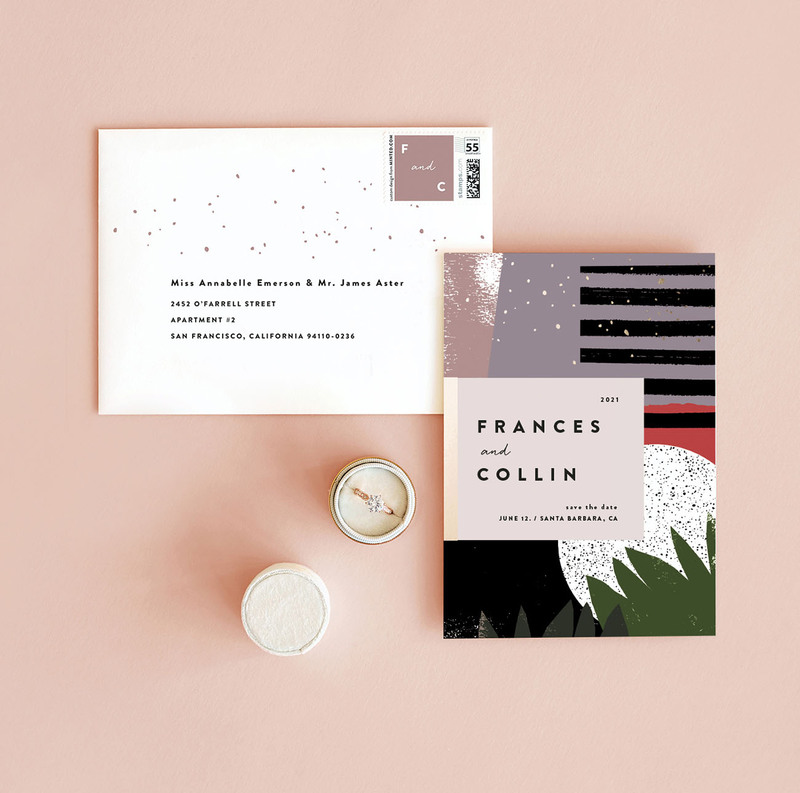 There are so many independent artists within the Minted community, that if you’re after something more contemporary + modern—you’re bound to find just the thing! Botanicals and blooms have come up in a BIG way! 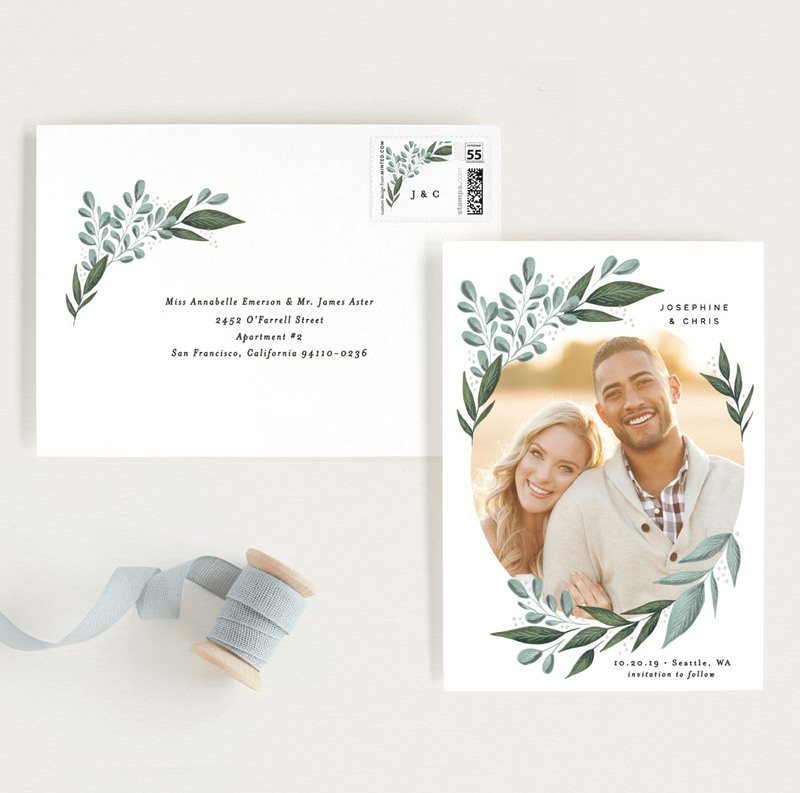 You probably already know about our penchant for pretty florals, but we adore how these illustrations brought sort of a luxe vintage feeling to this Save the Date. We’ve got a sweet treat for all of you! 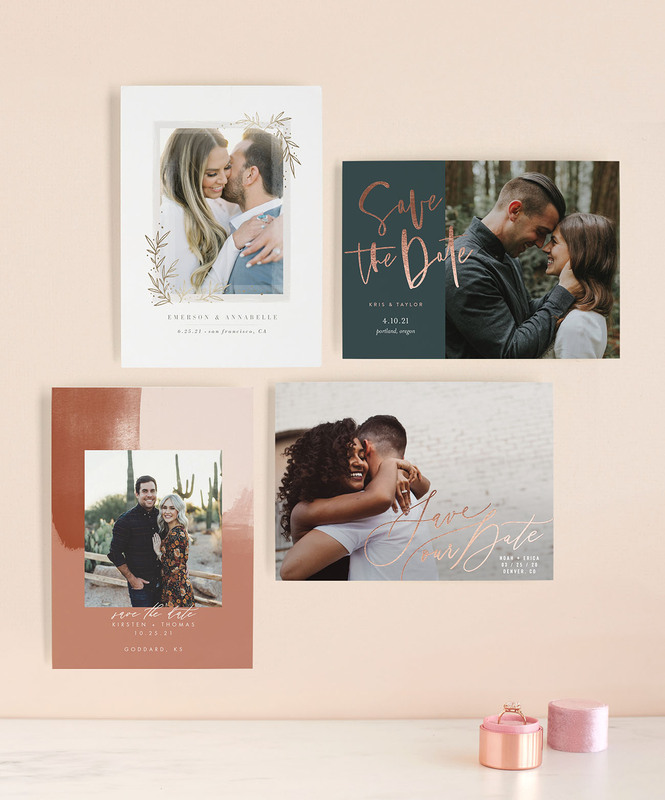 Minted is offering 15% off of all of their wedding goodies and 30% off of their Save the Dates using the code ‘LOVE19‘. Don’t miss this sale—the code expires on February 11th! Let us know your favorite designs or styles you’re crushing on in the comments below! 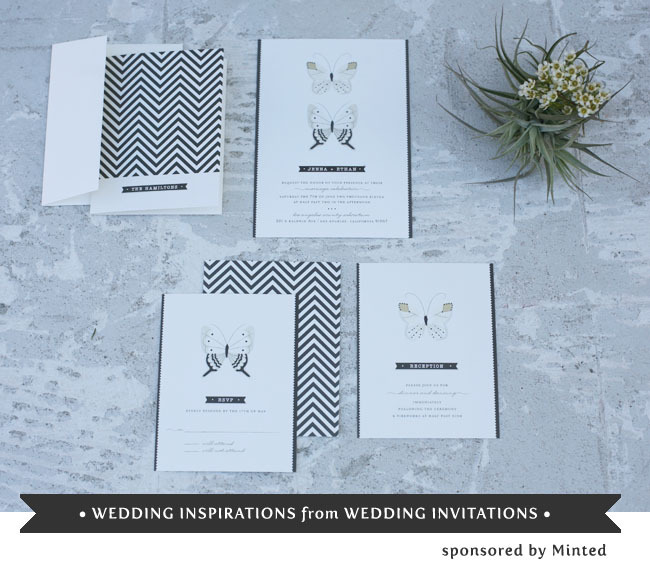 Save the Dates from Minted + a $300 Giveaway! 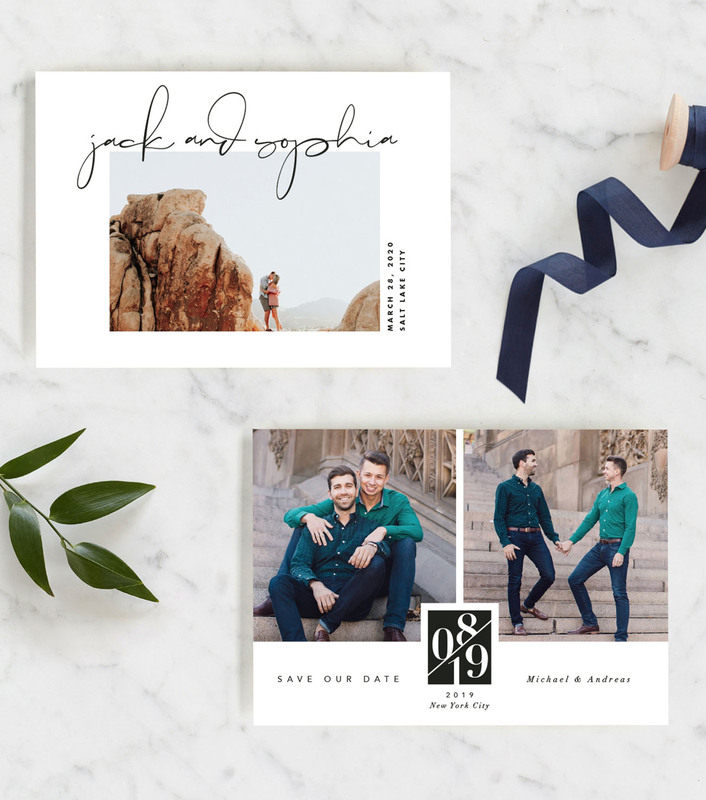 All of these save the date invitation cards are eye candy. Really beautiful & surely made to catch the attention of the reader. 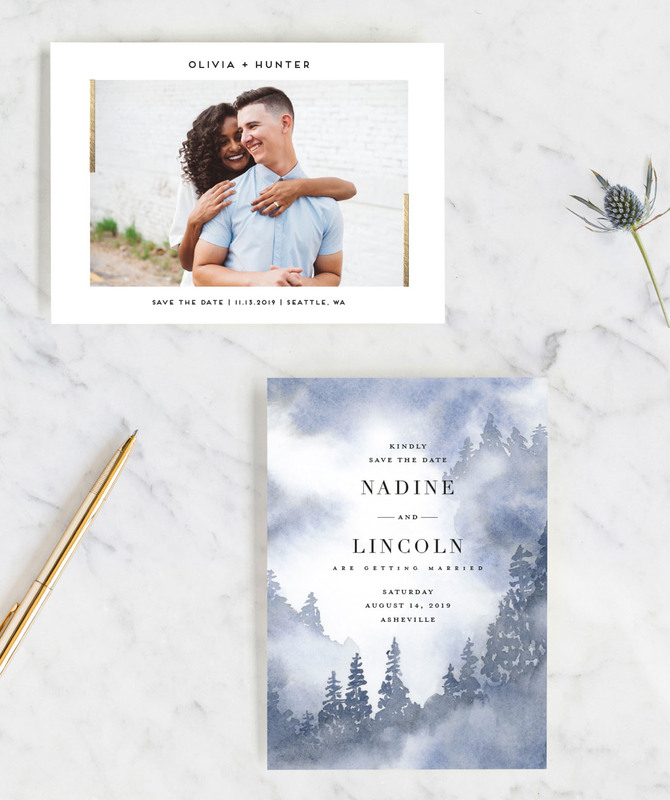 This time you really share unique ideas for save the date. Completely fresh & good dose of shimmer in invitation you show.